Home Entertainment What are Shazam Powers? How did Shazam get his powers? What are Shazam Powers? How did Shazam get his powers? 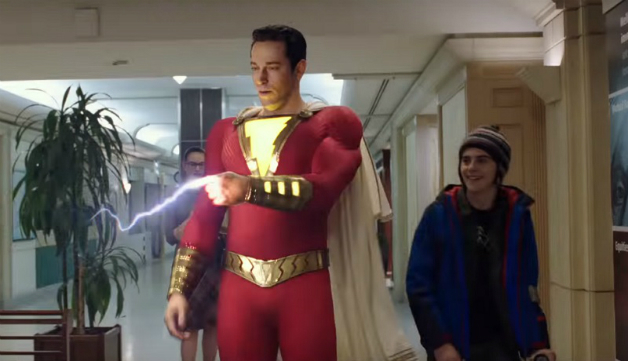 Shazam’s powers are granted by the following deities: Solomon, Hercules, Atlas, Zeus, Achilles, and Mercury. You’ll notice at least two of those guys aren’t gods, but the activation word is Shazam! and they had to fit the acronym, dammit. 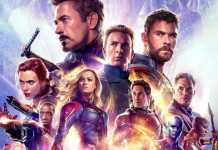 While that line-up represents the most likely candidates for the film adaptation, within the comics, the old gods are dead. Thus, Shazam had to strike a deal with six new gods in order to maintain his Champion powers. His current sponsors are S’ivaa, H’ronmeer, Anapel, Zonuz, Yuga Khan, Ate, and Mamaragan. With their powers combined (whomever the current “they” are), Shazam has access to a bevvy of superpowers. Here we have listed the top 5 powers of Shazam. Fighting Prowess is a bit of an intangible “power” for him to have, with the help of this power he always gets through the dangerous times. It also gives him generic optimism and bravery. 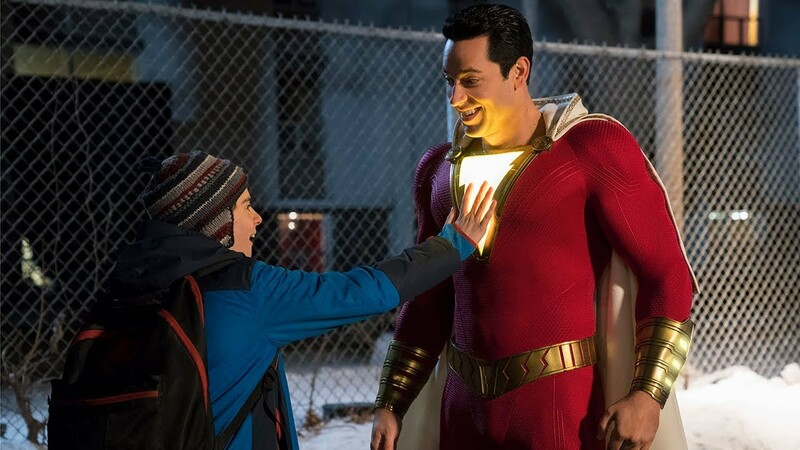 One interesting aspect of it, As we have seen Shazam fighting with villains who are as strong him but he still manages to defeat them only because of the courage, that has also given him impressive fighting skills. As we know that Shazam’s uses his lightning power to transforms him from Billy Batson, but Shazam’s lightning is now more than that. Now, he is able to shoot lightning out of his body and can use it in a fight, as active offensive power. This is different from his use of the magic lightning from the past since he has strict control over this electricity. For instance, once he used it to zap a bank cash machine to force it to expel a bunch of money. Shazam has magical powers of his own. He is now seen as, in effect, the “receptacle” of the Wizard’s magic. So have the capability to cast spells, however, it is a lot different than actually being able to get the spells cast. This was demonstrated when he was in the Justice League headquarters with Cyborg and he cast a spell for what he wanted to bring to the League and it turned out to be… a ping pong table! He has yet to figure out how to turn that into a more active skill. This power got acquired from the old God Zonuz, Yuga Khan enabling Shazam to enter and exit the source at will. What happened actually is, during the Justice League event, “The Darkseid War,” a number of members of the team saw their powers altered dramatically. In the case of Shazam, he lost the connection between him and the gods who gave him his original powers. Then the Wizard had to find him different gods to use for his power set. The Z alphabet in “Shazam” was now Zones, the last of the Old Gods. He gave Shazam the ability to manipulate the Source, which is the… well, it’s the source of the New Gods’ power. Shazam could now transport in and out of the Source itself, which gave him a huge advantage against Darkseid. 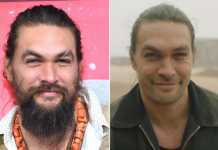 You see, the H in “Shazam” now belonged to H’ronmeer, a notable Martian god. On Mars, the end of life is symbolized through fire, which is why flames are the only weakness of the Martian Manhunter, the last survivor of Mars. Therefore, H’ronmeer gave Shazam fire powers. He can shoot fire from his hands but he also has fire breath! Let’s see Superman do that without Red Kryptonite! ALTBalaji Declares The Arrival Of Punch Beat, A Sports Series!